Tim Bryant is a highly acclaimed and experienced trial attorney. 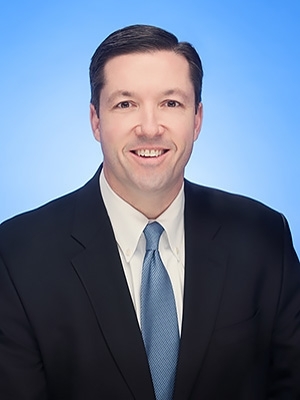 Over the last 23 years he has successfully represented numerous individuals, partnerships and corporate entities in a wide variety of complex civil and commercial litigation, including business, construction, franchise, intellectual property, ownership, personal conduct and real estate disputes. Tim utilizes a strategic and common sense approach to assist clients in achieving their dispute resolution objectives. Whenever possible, this means helping clients devise and execute a sophisticated plan to obtain favorable settlement terms and avoid the time and cost associated with litigation. He has served as lead counsel in dozens of jury, non-jury trials and arbitration disputes; and assisted numerous other clients in strategically resolving their litigation disputes. He has been nationally recognized by Benchmark Litigation, Chambers USA, and Woodward-White's The Best Lawyers in America for his work in the area of litigation, and in the Franchise Times as a Legal Eagle for his work in the area of franchise law. He is described by peers as a formidable adversary and by his clients as a strong advocate with a “pleasantly aggressive” style and demeanor. Tim is co-chair of the Firm’s Litigation Practice Group - described by Benchmark Litigation as a “Regional Powerhouse”. He formerly served on the firm’s Management Committee and as chair of its Recruitment Committee. He co-authored the publication “A Practical Guide to Evidence in Maine” with United States Magistrate Judge John Nivison; and served as a chapter author for the publication “A Practical Guide to Superior Court Practice in Maine”. He has served as a regional and national speaker on a variety of advocacy topics, including how to conduct depositions, hearings and trial examinations. He graduated from Villanova University School of Law where he served on the Villanova Environmental Journal, and earned the school’s Trial Advocacy Award. As an undergraduate at the University of Massachusetts, he quarterbacked his team to a Yankee Conference Championship and was honored as the conference rookie of the year. Prevailed in a 3+ week arbitration matter in San Diego, California, in a case involving $10-15 million in claimed damages. QualityBuilt.com sued our client, Criterium Engineers for $8-10 million for breach of contract and other related intellectual property claims. Criterium Engineers' counterclaim sought approximately $1.9 million for services rendered, plus interest, costs and attorney's fees. The arbitrator ruled in favor of Criterium Engineers on all counts and awarded Criterium Engineers $3.6+ million in damages. QualityBuilt.com recovered nothing. Successfully resolved a construction litigation dispute by assisting a client in overturning an initial attachment order of $2.3 million and related jury trial demand and resolution of the claim without payment of any money from our client to the claimant. Obtained a $1.1 million judgment for our client Kate’s Homemade Butter after a 1+ week jury trial, appeal to the Maine Supreme Court and remand to the Maine Superior Court for further findings of fact and conclusions of law. The case involved a commercial construction dispute involving the negligent design, manufacturing and installation of SIP roof panels and related issues against a Rhode Island based manufacturing company called Branch River Plastics. Simultaneously obtained judgment in excess of $1.5+ million in favor of a national commercial product distributor against four regional retail distribution outlets in several New England States; and permanent restraining orders prohibiting the retail outlets from using the distributors federally registered trademarks. Won summary judgment on behalf of a Maine corporation defeating a $1.4+ million claim arising out of the sale and distribution of a nursery home and related real estate. Successfully defended a several million dollar claim in a 1+ week bench trial in Maine Probate Court arising out of the ownership of an automobile franchise and related real estate holdings. Obtained a $750,000 non-dischargeable judgment in a commercial contract dispute involving the sale of commercial vehicles. Obtained a several hundred thousand dollar judgment arising out of the fraudulent distribution of estate assets. Successfully defended a client against a multi-million claim related to damages arising from the collapse of a crane on four residential buildings near commercial construction project. Successfully defended and prosecuted dozens of claims throughout the United States on behalf of franchisors to enforce their contractual, intellectual property and post termination rights against existing former franchisees.